National Theatre Wales’ Storm Cycle is a series of multimedia works, performed at different locations across Wales, exploring two key themes; truth and testimony. Mae National Theatre Wales yn dymuno penodi dau unigolyn llawn cymhelliant ac egni ar gyfer y swyddi gwag a ganlyn. Mae'r Cydlynydd Cyllid yn gyfrifol am ddarparu cymorth o ddydd i ddydd i'r swyddogaeth gyllid, cynorthwyo gyda holl feysydd cyllid y cwmni a gweithio ar draws holl feysydd y sefydliad. When I first heard about Agência de Redes para a Juventude (The Agency) about 6 years ago I thought that this would be a dream project to work on, here I am 6 years later and the dream, has come true. The Agency has allowed me to operate in mine and surrounding communities with young people, helping with them to help address some of the social issues we face. Rainbow Valley Productions require a 'stagehand' for upcoming shows in Cwmbran. +1 extra day after Christmas at unit. Experience is not essential just hardworking individuals. My name is Kathryn Parker and I am the first Live Events apprentice at National Theatre Wales. I started my one year placement here at the end of October, and will be working with different departments throughout the year. This will allow me to gain a wide understanding about the process of live events, and gain some valuable experience that I wouldn’t get in college or university. Mewn menter newydd o’r enw Radical Creatures, mae NTW yn gwahodd artistiaid benywaidd Cymreig i gyflwyno syniadau anghyffredin ar gyfer perfformiad byw. Yn benodol, rydym yn chwilio am syniad gwreiddiol sy’n trafod yn wybodus yr hyn y mae’n ei olygu i fod yn fenyw yng Nghymru heddiw. The Romani Cultural & Arts Company is proud to announce that BBC Children in Need has granted a further £153,343 grant over 3 years to fund the excellent project work that takes arts-based workshops and activities onto the Gypsy & Traveller Caravan Sites of South Wales. Be Aware Productions are looking for a Stage Manager and a Production Manager to join them on a journey in 2019. Y Brain / Kargalar is a play in Welsh and Turkish that will tour Wales in February/March 2019 followed by performances in London and more touring during June 2019. 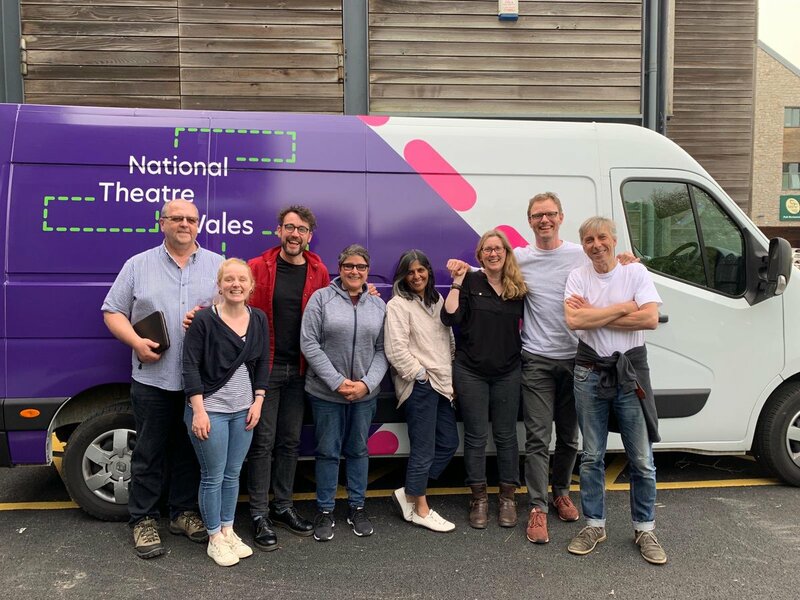 “National Theatre Wales (NTW) is planning a programme of work for next year which will explore the nature of truth and our fragmenting sense of community, against a backdrop of the UK’s Brexit deadline and the moon landing 50thanniversary. Luton Council is looking to commission six lead artists for a diverse range of arts events as part of People, Power, Passion; our 2019 Pilot Year of Culture which will explore people power, community action and Luton's strong history of standing up against injustice. Hello all, some of you have said to me that we don’t shout enough about all the very different things we do. So I thought I’d share some of the upcoming events that are keeping us busy. Back in February, we announced that our TEAM programme had been awarded £400,000 from Paul Hamlyn Foundation (PHF), to support the next, four-year phase of our work, in Pembrokeshire and Wrexham. I’ve been working as TEAM Associate here in Wrexham since January, running a series of events for us to find out what you would like from your National Theatre, as we work towards creating a show together in 2021. Following the recent publication of International Showcasing for the Arts of Wales: Research Report 2018, we invite you to a facilitated discussion for artists, creative professionals, freelancers and independents, hosted by Laura Drane. 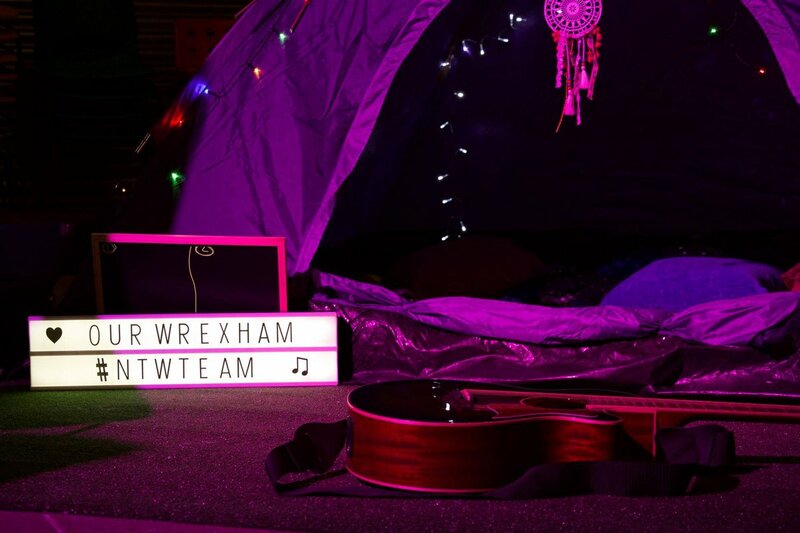 Check out our upcoming TEAM Performance Party in Wrexham! Don't miss our TEAM Performance Party in Pembrokeshire this month!